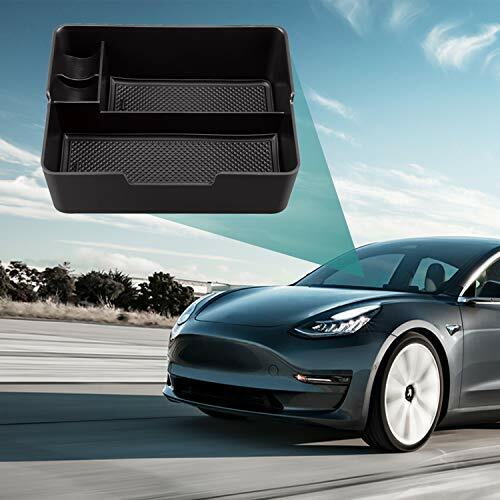 MAXIMIZE MODEL 3 CONSOLE STORAGE SAPCE: As the original Chevy armrest box is so deep and everything just got lost at the bottom, we supply this center console organizer for you to organized and settle your items easier. 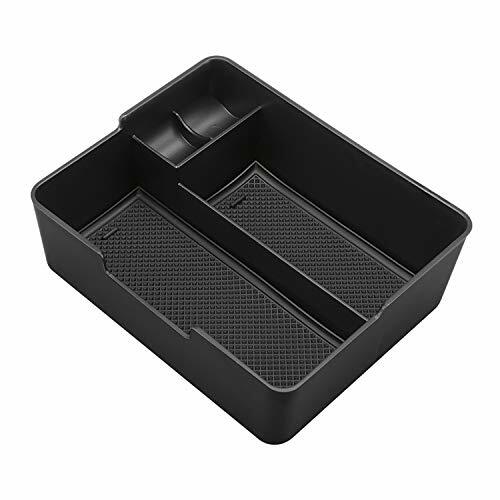 CATEGORING ITEMS BETTER, FIND EASIER: Designed for an exact fit, this organizer transforms the tall bin into a two-tiered storage compartment. 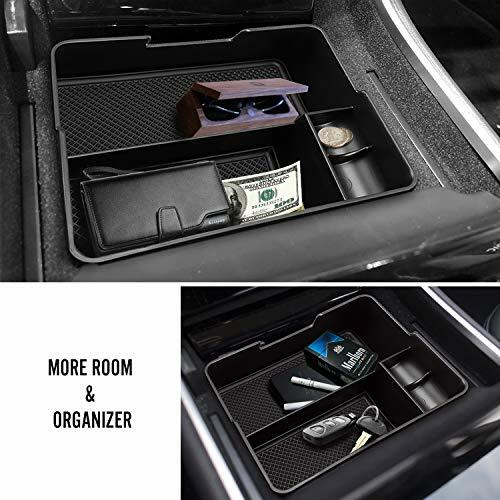 Larger items can be stored below the organizer, while smaller items stored upper, such as: glasses, pens, coins, gum, CD, phone, most used items and random things. 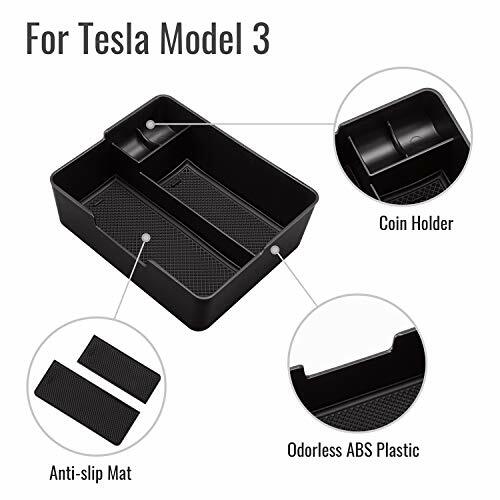 LITERALLY NECESSITY FOR TESLA MODEL 3: It perfectly matches Tesla Model3, as its size is same with original car armrest box, color matches perfectly, easily install to your center console. 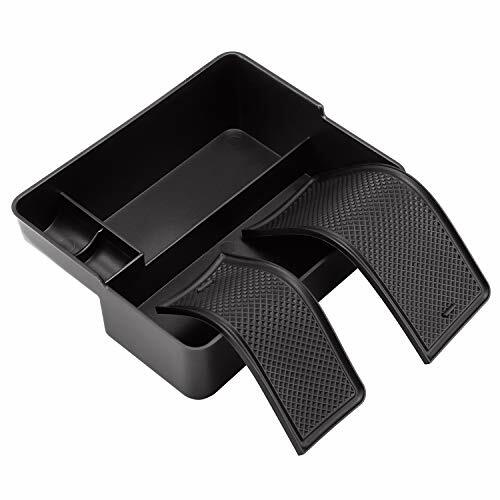 MADE OF ABS PLASTIC WITH RUBBER LINER PAD: Made from Odorless ABS plastic with matte finish, let it tough enough to withstand impact which you driving on road. 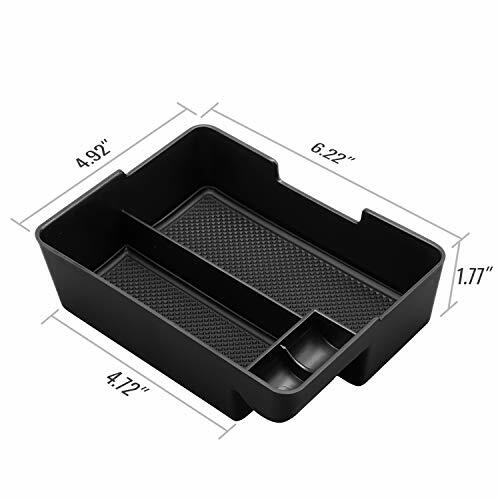 Each insert tray company with 3 anti-slipping rubber pad keep things from sliding, and avoid noise. 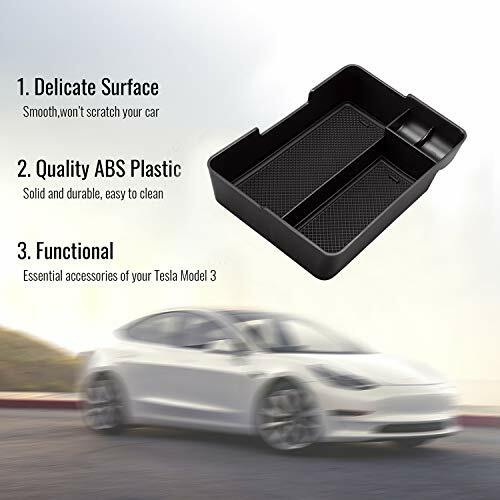 I have brought this tray for my tesla. It is a very small tray. It can only fit my keys. quality is good. very strong-made.